Raging nerd boners all around! While they were fun to watch, it was bittersweet to know that we weren't going to see it happen in real life. ICYMI: On June 30, USA-based giant robot makers (yes, there's such a thing!) 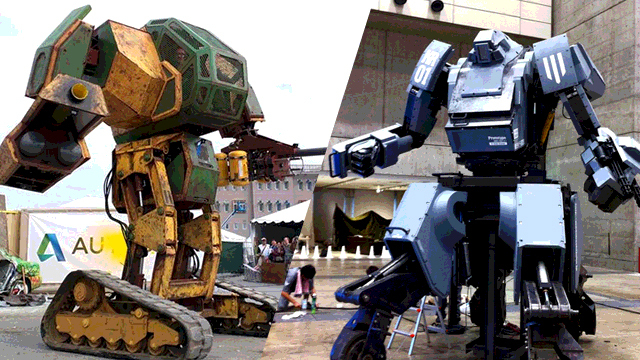 MegaBots Inc. challenged their Japanese counterpart Suidobashi Heavy Industries (S.H.I.) to a giant robot battle. And, after a bit of waiting, S.H.I has accepted. Done deal: Mecha-flavored mayhem here we come! Oh no he didn't! Trash-talk mode: ON!